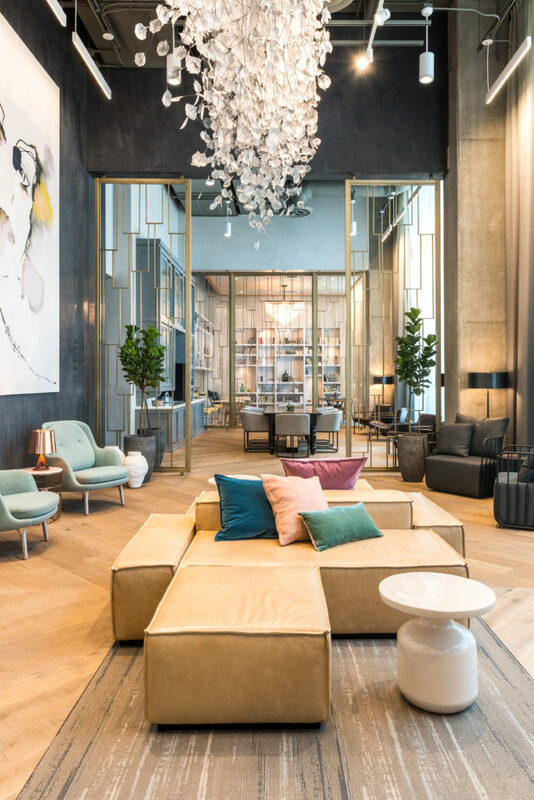 Step inside the bespoke lobby and you’ll quickly discover an elevated style unexpected in the Gold Coast. It’s refined, yet relaxed. With contemporary furnishings that are accented with carefully curated collectibles. Every aspect of the building carefully considered. The rooftop resort delivers an experience that rivals many retreats. Large, pillow-top beds surround the pool for all day lounging. Built-in outdoor kitchens and fire pits create semi-private communal areas for groups of friends to enjoy. Looking for a respite in the city? The Garden Terrace is your sanctuary. Geometrically sculpted spaces—a modern take on old palace gardens—create spaces for grilling, relaxing by the fire, and running your feet through the grass. While a bocce ball court invites friendly competitions. There is something breathtaking about a home with floor-to-ceiling windows. Soft neutrals and open plans create a light and airy environment for unforgettable evenings with friends.